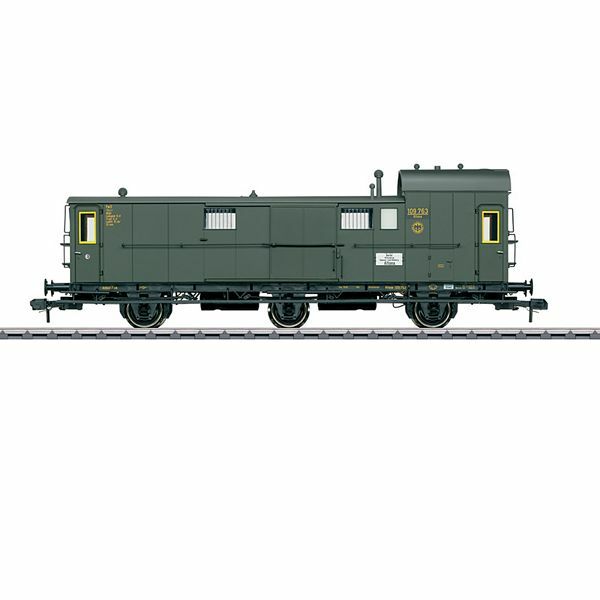 Prototype: German State Railroad Company (DRG) type Pw3 Pr 02 baggage car. Model: The car's body has detailed plastic construction with many separately applied details. The car has built-in interior lighting with a factory-installed digital decoder that can be controlled digitally and that will work in conventional operation. Minimum radius for operation 1,020 mm / 40-3/16. Length over the buffers 39.1 cm / 15-3/8.